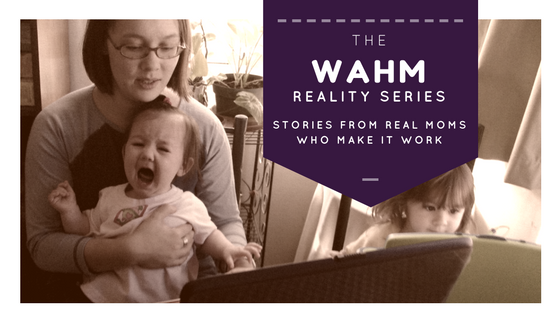 Welcome to a series exploring how real-life moms work alternative jobs in order to work and mom the way they want or their family needs. For many, this means working at home. For some it means jobs with flexible schedules. For others it means more traditional business hours, but owning their own business. As we examine the different ways moms make it work, you’ll see a lot of creativity and hopefully be inspired to make your job, traditional or not, work best in your life. Katherine Morgan is an independent representative and team leader with Wildtree, an organic meal planning company. She is married with 4 young children. In addition to Wildtree she also teaches Jazzercise and volunteers at her kids’ school. PM: What jobs have you had in the past? KM: My background is in science: biology and chemistry. I worked as a medical technologist at the VA Hospital through my first two pregnancies. Prior to that I worked in sales as the manager of The Body Shop for 6 years as well as a short time in consignment sales. I have always loved sales but my background in science really helps with meal planning. Following a recipe is much like following a scientific procedure manual. PM: How did you come to do what you currently do? 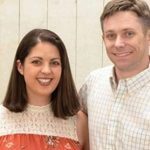 KM: I met a Wildtree rep at a vendor fair and was immediately intrigued by their meal planning services, especially the freezer meal workshop concept. I hosted a workshop and signed up as a rep the day before my workshop date because I was so impressed by the organization of the prep process, the shopping lists, and variety of menus. I knew I was going to continue cooking this way so it just made sense to sign up and host my own workshops. Then once I learned how few Wildtree reps there are in New Mexico and the Southwest, I knew there was an opportunity here. PM: How long did it take to get to where you are now? KM: The growth within the company was fast! I made it to team leader status within 5 months. I had 8 people at my first workshop and 40 at the next! Word was spreading fast and people were loving the convenience of the programs. I had and continue to have a lot of repeat customers which is key to keeping my business going. It also helped that there are hardly any Wildtree reps in New Mexico. 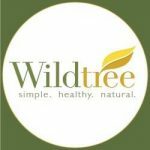 As people learn about Wildtree they are eager to join themselves, which really helped my progress in the company. PM: What are the biggest challenges? KM: Time management. Finding the time to make calls, talk with customers, hosts, and place orders. PM: What are the biggest advantages? KM: The extra income is so helpful. It allows me to contribute to bills but still be at home with my young children and participate in their schooling. The meal planning is a huge bonus too! I prep all my meals for the month at once which saves me tons of time on busy weeknights. Plus, with the ease of the shopping list and recipes being provided by Wildtree, it normally takes me less than 2 hours to prep a month’s worth of meals. PM: What are your next goals? KM: I’m really happy with where I am with the company so my goal is to maintain my leadership status, and maybe even earn some incentive trips. My husband and I went to Costa Rica last year with Wildtree and I would love to do it again! PM: What advice do you have for moms looking to work at/from home or start their own business? KM: Make sure it’s something that you love and are passionate about. That will make it easy to share with others. PM: What is your best productivity tip? What makes YOU a Productive Mama? KM: Time management is key. I like to use time blocking where I give myself a certain amount of time to complete a task and then move onto something else. Having a set amount of time gives you a little more of a push to get the task done. Also, a good work/life balance is also important.